A 3-3 draw at Sculcoates Amateurs continued Bridlington Sports Club’s upturn in form since the arrival of their new management set-up. It meant they are unbeaten under bosses Gary Simm and Sean Chapman, who were formerly involved with Scarborough Athletic Reserves and Rossington Main. 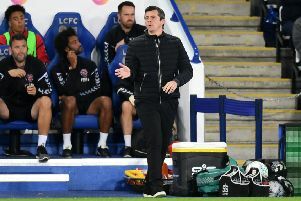 Former manager Paul Smith has reverted to player-coach, but it was his input that brought the new duo to take the reins. Simm said: “I work with Paul at East Riding College and he has been asking me to get involved. “I knew some of the players because of our involvement in the Humber Premier League with Scarborough and the first thing I said to the lads was that we wanted to make this a team from Bridlington. “I know some of them were worried that we would bring in a lot of Scarborough lads but we want the squad to be built around locals. “They have been brilliant so far and we have given everyone an opportunity, but we have also said that if they don’t buy into our ideas, we will bring in players we know, who won’t let us down. One of the duo’s new signings, Gary Hepples, was among the scorers as Sports Club drew 3-3 at Sculcoates on Saturday. However, Hepples, Ash Robinson and Mike Tate put the Bridlington side ahead, before Sculcoates grabbed an equaliser. Simm said: “It was a great point and that is seven from nine so far, which is a great building block. “We want to make sure training is right, the squad is right and make sure we have a good solid set of lads who keep progressing.